There’s a new investment coming up from the ground level, that should interest both small businesses and people looking for new investment opportunities. The JOBS Act of 2012 is streamlining and liberalizing the process of crowdfunding, creating what could turn out to be the business and investment bonanza of the century. It may provide a way for both businesses and investors to bypass banks and stock markets as a means of both raising capital and investing money. In 2012 Congress created the JOBS Act, which was an abbreviation for Jumpstart Our Business Startups – you just gotta love the government and all of their alphabet soup monikers, right! The act created a number of business provisions, including investment crowdfunding. While crowd funding has been around for a while, the JOBS Act made some regulatory changes that are expected to move it into high gear. The act eases many of the requirements in regards to the information that needs to be provided by businesses to their investors. It will enable small businesses to raise capital and issue stock to small investors, without many of the costly regulatory disclosures normally required for businesses to raise capital. Will it open the floodgates? We’ll have to wait and see, but it looks encouraging. 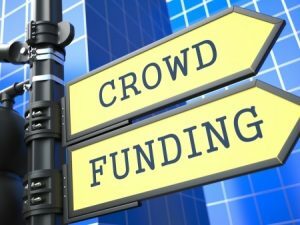 Crowdfunding is a method of raising capital from pooled funds contributed by a large number of small investors (which explains the use of the word “crowd”). This is very unlike the more common method of going to a single source, such as a bank. It is usually done through a web platform, which essentially operates as a bridge between small businesses who want to raise capital, and small investors who are looking to invest it. It has often been done by or for nonprofit agencies, but it is increasingly becoming a way to raise capital by small businesses who might otherwise be shut out of more traditional markets. It is a form of Internet-based venture capital for small business. How much money can be raised or invested in crowdfunding? The JOBS Act sets limits on the dollar amount of securities that a business may offer, currently at a maximum of $1 million per year. In addition, investors are allowed to invest up to $100,000 per year. On security requests in excess of $100,000, the issuer is required to provide an independent financial statement review by a CPA. Fully audited financial statements prepared by CPA firm are required if the business owner seeks to raise in excess of $500,000. Crowdfunding enables a small business owner to bypass traditional capital sources. As a small business, banks are often reluctant to make loans, and venture capital can be close to impossible to raise. Since crowdfunding involves raising money from hundreds or even thousands of individuals, you will not be in a position of needing to prove yourself before a bank or a very small number of very sophisticated investors. Every business venture involves a certain degree of risk; banks are only interested in lending if you can prove to them that the risks are very minimal (or non-existent). And venture capitalists are often looking for high-stakes, high profit opportunities. Most businesses can’t make either claim, especially early in a business cycle. Through a crowd funding platform, a business owner has an opportunity to showcase his business venture to a large number of people. That will increase the likelihood of obtaining funding, but also attract investors more specifically interested in that type of venture. Small business owners also have the advantage of being able to approach various platforms for funding, and to re-approach them in the future as conditions change. It could be a continuous source of capital that would not be available otherwise. In a real way, it’s building a grassroots business from the capital provided by grassroots investors. And for many business owners, it may be the only source of capital available. In order to fully invest in crowd funding, you will need to become an “accredited investor“, which requires that you have a minimum net worth of $1 million, an annual income of at least $200,000 in the past two years, and a total household income of at least $300,000 for the past two years. There are restrictions on investors with less financial wherewithal, and how much you’ll be able to invest and under what terms will depend on the crowdfunding platform you’re participating in. For the most part, the investor buys stock in a variety of small, often upstart ventures. The risks are high, but so are the potential rewards. Small companies can become big companies, and when they do, you’ll get in on the very ground floor, and the profit potential can be astounding. You’ll also have the benefit of being able to spread small amounts of money across a large number of businesses. That will not only lower your risk, but will enable you to invest money in businesses that you are very specifically interested in. It may even be a business in which you have an above average level of knowledge. You can think of it as investing in stocks, but doing it much more basic level. These are essentially websites sponsored by companies organized for the purpose of facilitating crowdsourcing. They streamline the process for both the business owner and the investor alike. They provide a common ground where both parties can meet and work out deals. If you’re serious about crowdfunding, be sure to fully investigate both the platforms and the individual investments within them. The whole process is new, and is still playing out and evolving into whatever it will become. In the meantime, it has a definite flavor of the Wild West! Proceed with extreme caution. Do you also think that crowdfunding may be the only good thing here? If so, do you have advice for either small businesses or investors who want to participate in it? Kevin, and excellent and well researched post! It sounds very similar to Angel Investors, who I’ve come across in the web industry. What do you see as the main difference between angel investors, and crowdfunding investors, if any? I like the concept of crowdfunding. I’d like to look at this further when I’m ready to take the next step into into financing. Hi Avrom – That’s an excellent question. Generally speaking, Angel investors are a single investor (or very small, connected group) that will take a substantial ownership position in your venture. If they control 50% or more of the business, they will be able to exert direct control over the management of the business. It is even conceiveable that they can fire you from the business! In addition Angel inestors are often taking a position in your business with the understanding that you will take it public within a few years. It seems a lot like that show “Shark Tank”. 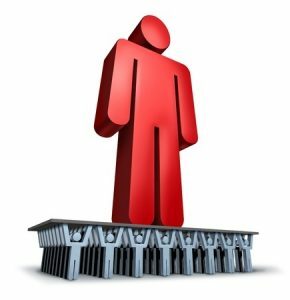 Crowdfunding usually involves large numbers of small investors, none of whom having a large enough stake to control the business outright. It’s more like pooling funds from multiple investors, who could number in the hundreds. Crowdfunding also has investment limits, as indicated in the article. If you need more than the crowdfunding limit, you’ll be more interested in an angel investor.